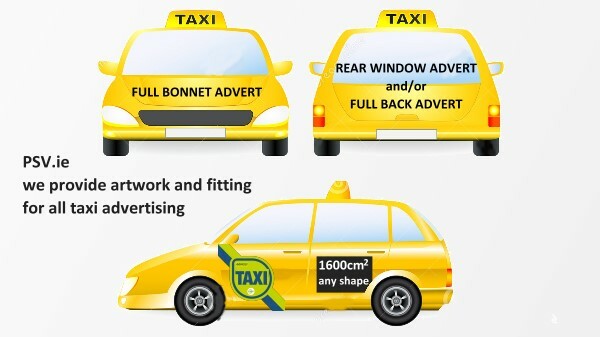 Here at PSV.ie we provide taxi advertising services comprising of stickers or full vehicle wraps. You can advertise your company, promote products and/or services by advertising with us. We have a large fleet of saloon cars and vans driving around the city, day and nigh. This is probably the best opportunity for mobile advertising in Dublin. We design and supply the artwork and wrapping services of same. 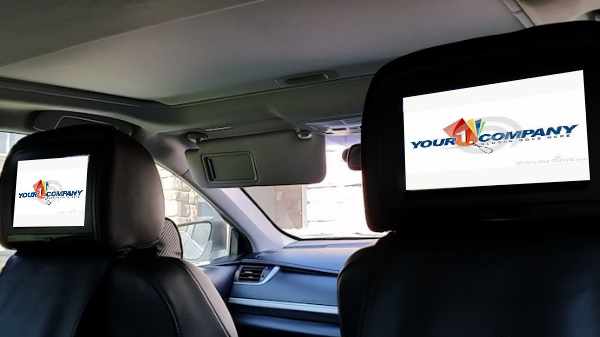 have your video advert seen by rear seat taxi passengers.